e-Reader past the previous reigning champ, Harry Potter and the Deathly Hallows. The WiFi and 3G version of the Kindle were the #1 and #2 sellers in the electronics categories, beating out the 8 GB iPod touch. The duo also topped the charts for the best-selling products site-wide on Amazon this holiday season. Christmas day was a banner day for the Kindle with the e-Reader boasting of a record number of activations, Buy Once, Read Everywhere app downloads and Kindle book purchases. Once folks fired up their brand new Kindle, they purchased The Girl with the Dragon Tattoo, which were the #1 purchased and #1 gifted Amazon Kindle book this holiday season. 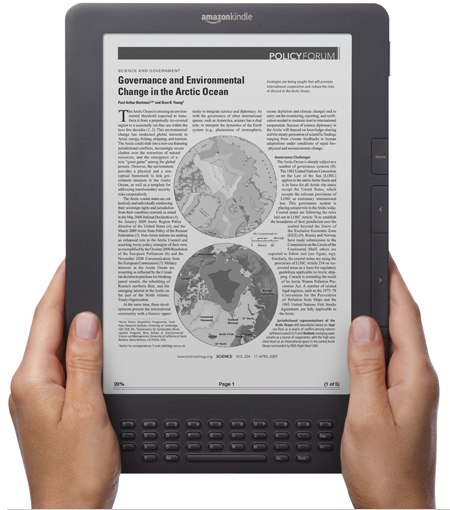 You can read our article about Best E-Reader Device and review it to get your hands on world’s best Amazon Kindle 3rd Generation.